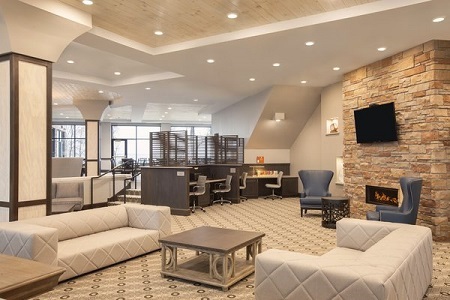 Look out over Lake Bemidji and soak up the serenity of Northern Minnesota when you stay at the pet-friendly Country Inn & Suites® by Radisson, Bemidji, MN. 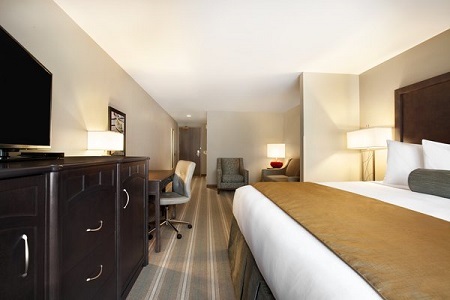 Connected to the Sanford Center by an indoor walkway, our hotel is perfect for guests attending conferences or events. 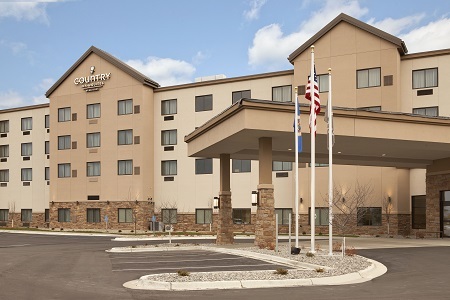 We also give you easy access to Bemidji State University, nature trails, shopping centers and restaurants. Are you looking to catch some walleye or bass? Check out the local fishing guide service. Our free parking options include plenty of room for vehicles towing boats. Join us for a full morning meal at our free, hot breakfast. Options include scrambled eggs, biscuits and gravy, fresh fruit and more. After an action-packed day, join us for dinner at The Tavern on South Shore, located on site. If you want a night out, try one of these nearby restaurants. Sanford Center – Take our walkway directly into this 4,700-seat arena to experience expos, concerts, roller derby bouts and more. Plan your wedding or event at the center, and make sure your guests are comfortable by booking a block of rooms with us. Bemidji State University – Situated on the western shore of Lake Bemidji, BSU’s charming campus is worth a visit any time of the year. Cheer at a Beavers game, or rent a kayak to create your own adventure on the water. Make a scenic two-mile drive along the lake to reach the campus. Paul Bunyan Mall – Need a break? Head over to the mall where you can pick up a fun new outfit at JCPenney, or let the kids play arcade games while you indulge in a creamy treat from Dairy Queen. Drive less than 10 minutes to the northwest for all the fun and relaxation. 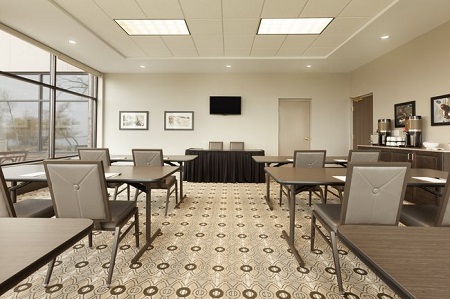 Located adjacent to the Sanford Center and the George W. Neilson Convention Center, our lakefront hotel offers 625 square feet of meeting space. Ideal for breakout sessions or intimate lunches, our room can seat 20 guests or accommodate 40 for standing-room receptions.